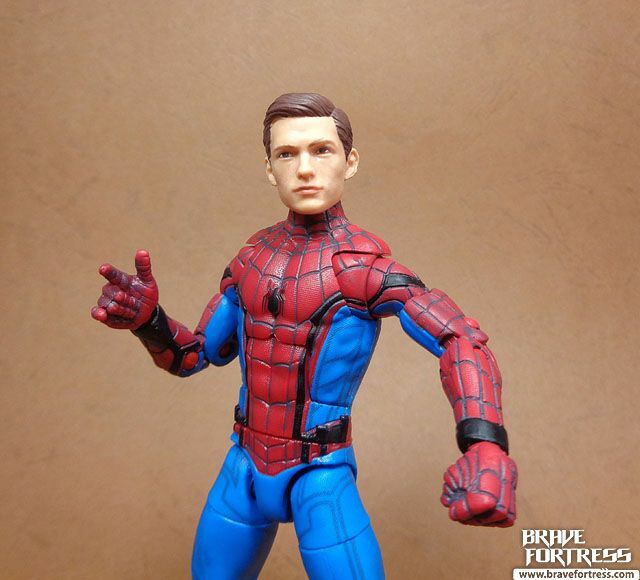 The likeness for Tom Holland is spot on. Down to the freckles! 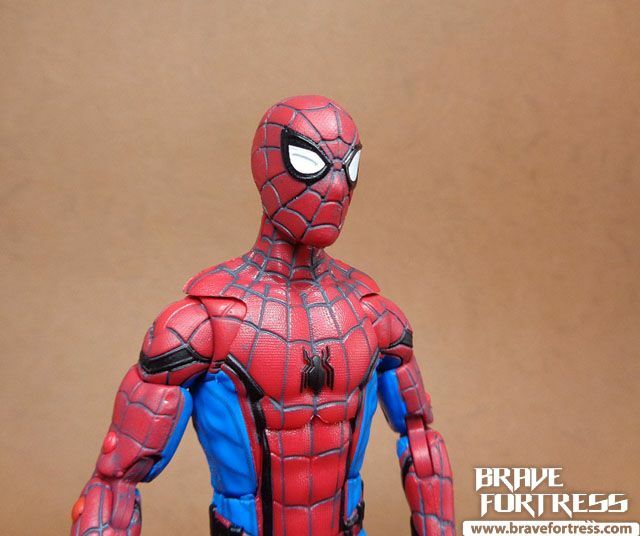 A bit of a factory snafu here, Spidey’s right eye is supposed to be squinting, a result of his suit malfunctioning (from a scene in the movie), I guess the factory didn’t notice the sculpting outline was different and painted the whole eye as if it were normal. 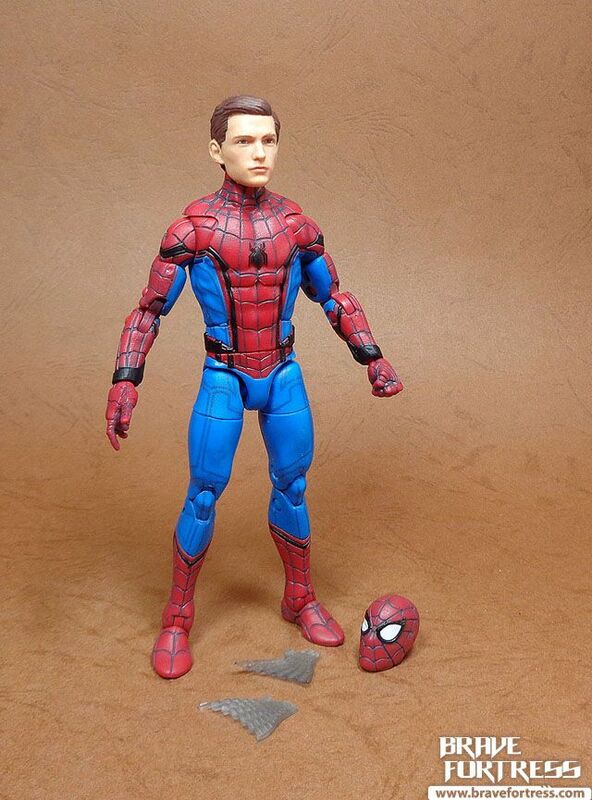 I think all figures came out like this. 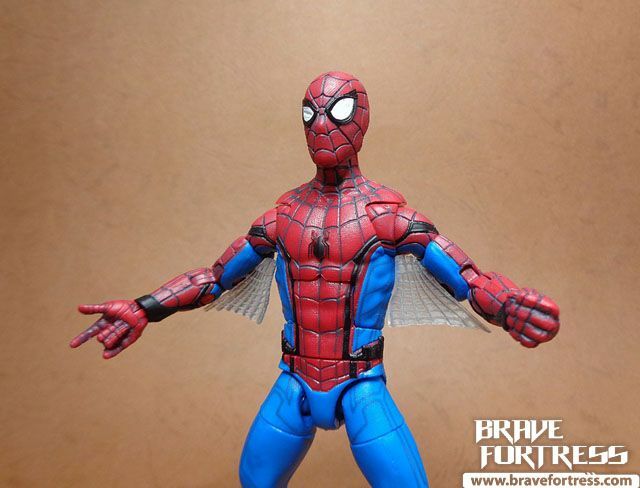 Spidey also comes with holes for his armpit webs. 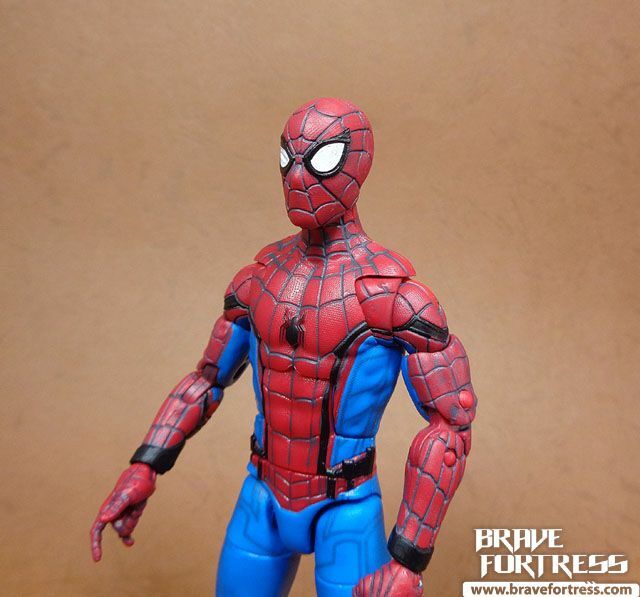 I’m glad they made the webs removable, didn’t really care for that throwback to the classic design. 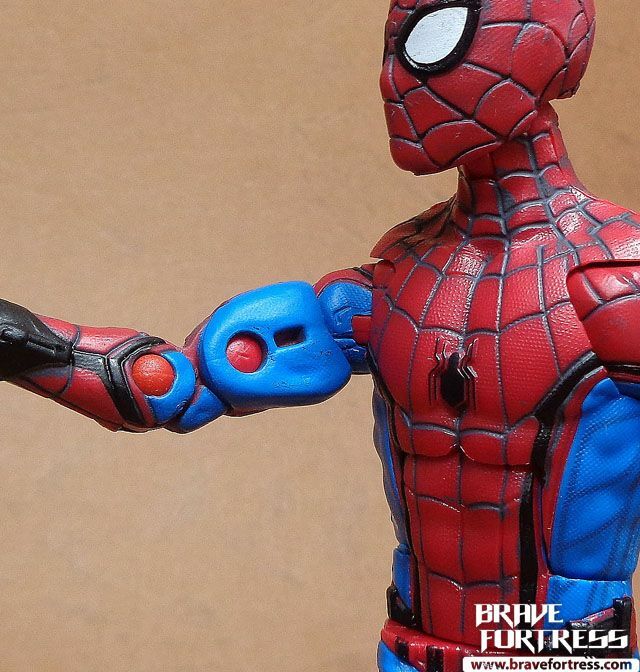 Spidey also doesn’t come with extra hands. 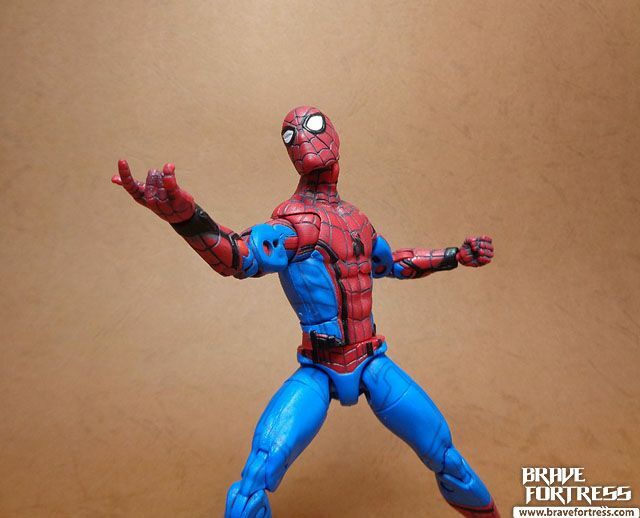 So he’s stuck with whatever hands he’s got. 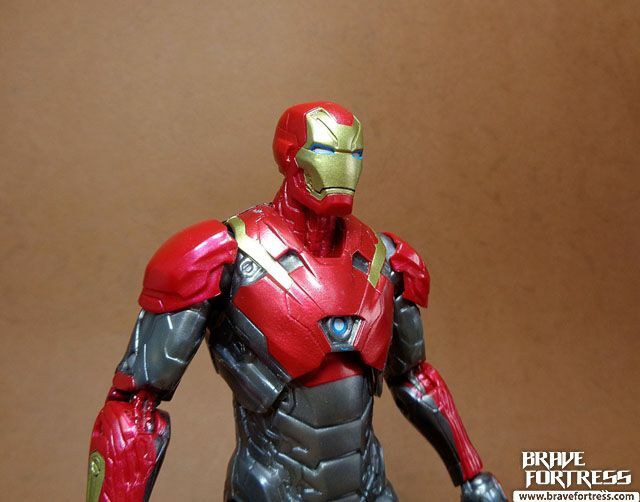 The Mark 47 closely resembles the Mark 46, just has more silver than gold colors. 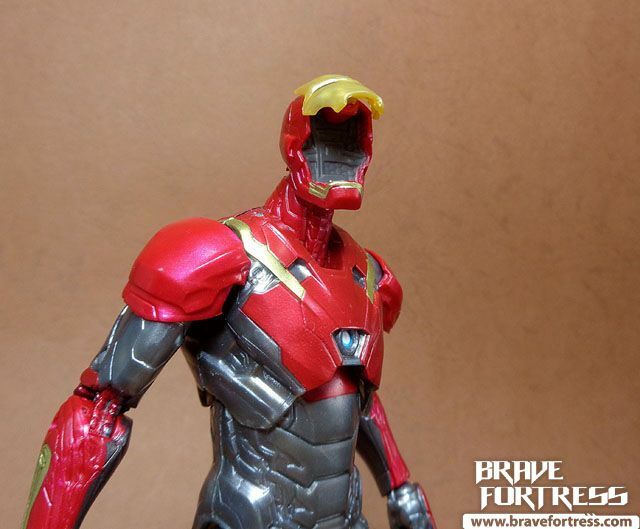 It’s based on the “Ultimates” color scheme of the Iron Man armor. 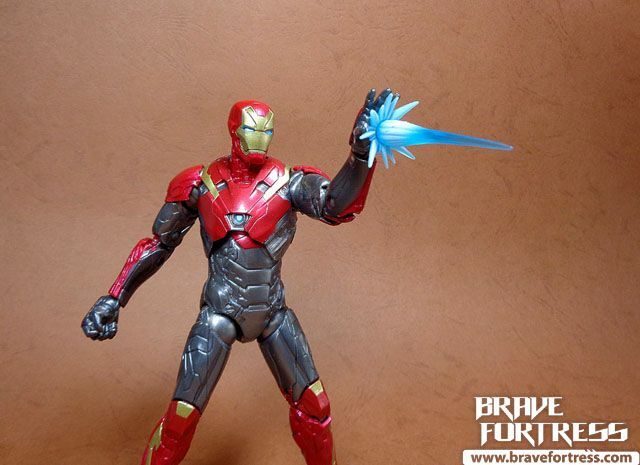 The figure only comes with one repulsor effect, too bad. 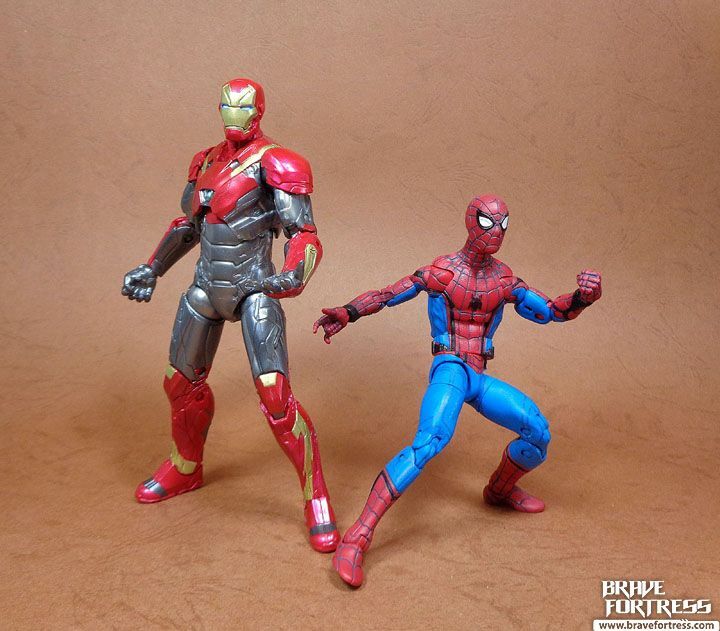 Interesting trivia about the Mark 47, it’s the 47th armor in the ever growing Iron Man armor line. 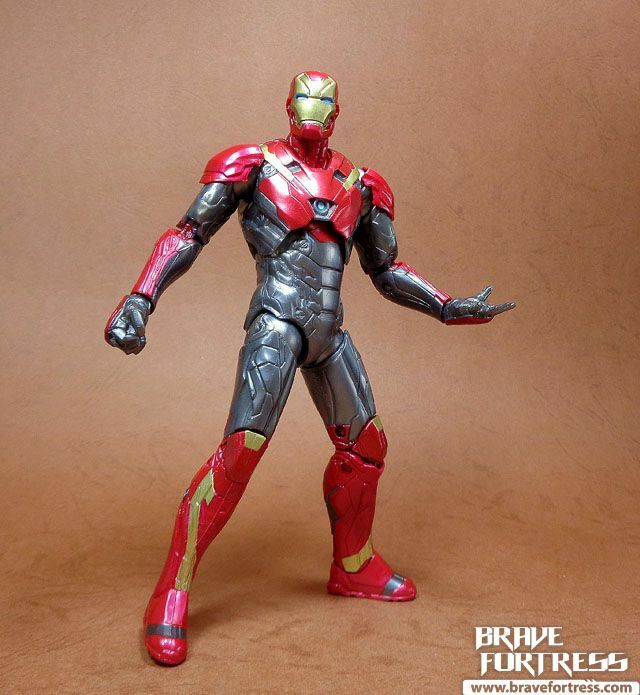 But if you exclude the numerous Iron Legion suits from Iron Man 3, it’s technically the 13th “main” armor worn by Stark. 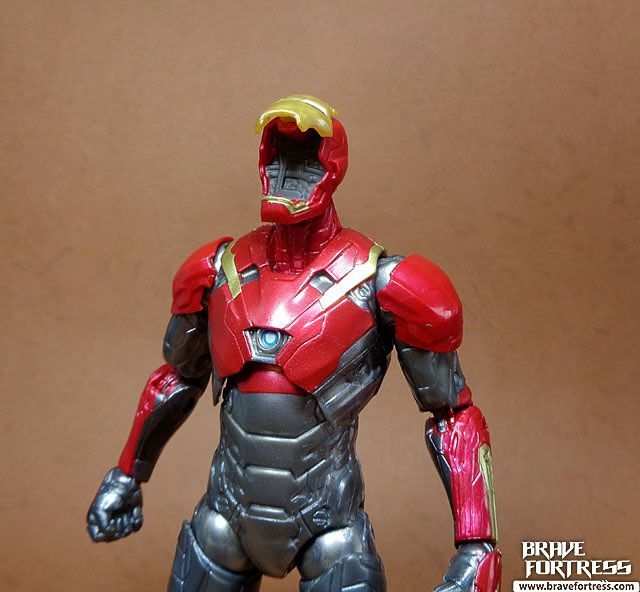 It’s also the third armor to have the F.R.I.D.A.Y. A.I. integrated. In one scene it’s revealed Tony Stark wasn’t inside the armor, but remote piloting it. The armor is in “sentry” mode, apparently. 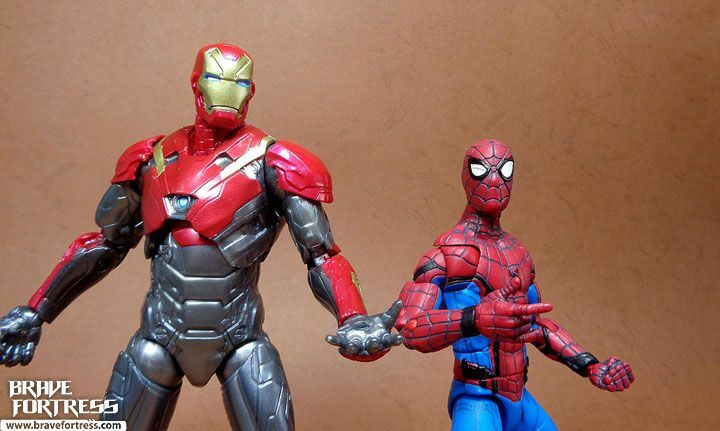 It was nice to see Iron Man play a huge part in the Spider-man Homecoming film, but a huge part of me wishes the classic Spidey suit didn’t come across so tech-heavy. I didn’t like the talking suit part. 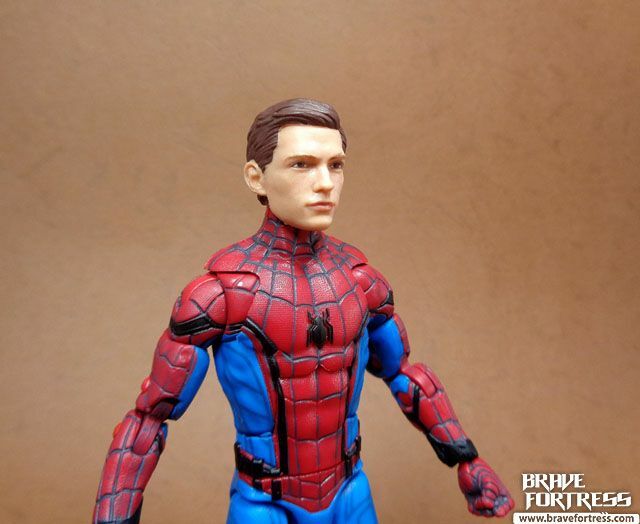 I guess they wanted to take Spidey in a different direction from the traditional movies, but I do wish the next Spidey movie will be closer to his roots as a kid trying to find his way, struggling with life. That’s what made Spidey so unique back in the early days of comics. Iron Man … and his sidekick.